Showing results for tags 'system of a down'. Why is it that System of a Down never has represses? There are only rare picture discs for the latest three albums, two presses of Toxicity and no official pressing of the self-titled. I asked travis a while ago if they could have Hot Topic do some presses, and he said no, but never said why not. What's the problem? Is there some copyright issue? They're relatively popular and best-selling artists, so why does nobody want to issue their vinyl? 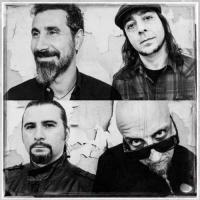 I'm looking to buy System of a Down's Toxicity on vinyl. If you've got a copy up for sale, let me know, and let me know how much you're looking to get for it. Thanks! According to this site, Music On Vinyl will repress Toxicity later this year. There's not much information on this yet, except it being 180g single LP. Release date is set to 12/31/2014, but I'm sure this is just a placeorder. This post will be updated, if there's any news/preorder/etc. anyone know how many were pressed. these are impossible to find and i just happened to snag one. figure they must be limited in some way.